A floral exotic blend of pure essential oils. Experience the sensation of the lovley aromas with red clay to tone and rebalance the skin. 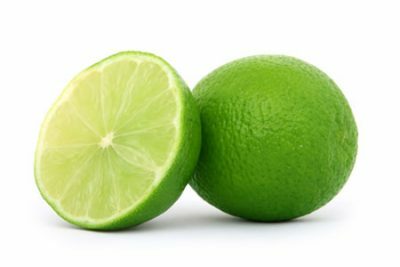 A combination of the most divine pure essential oils of Ylang Ylang, Geranium, and a touch of Lime to heighten, yet not overpower the senses. 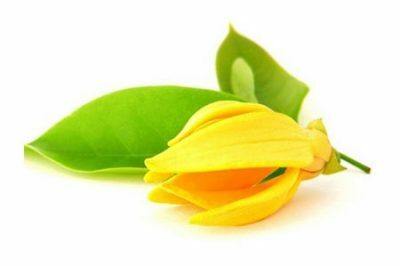 Drift into this mellow flavour while it moisturises and scents your skin so gently. A cloudy-white oil with a slight coconut scent, coconut oil has a low melting point which allows it to be absorbed easily. On its own, coconut oil is an excellent massage oil which moisturises and hydrates the skin, and can help to prevent degenerative diseases, such as premature ageing. 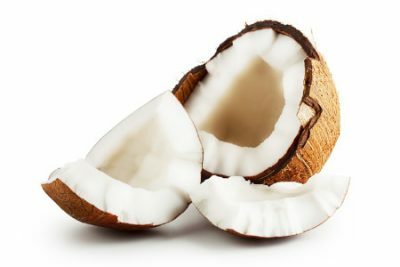 When used in skin care products, coconut oil prevents dryness and flaking, and also promotes healthy growth in hair by reducing protein loss, leaving hair with a luxurious shine. Find more of our products with Coconut Oil. Utilised for its incredible benefits since ancient times, olive oil is packed with antioxidants and vitamin E, making it wonderful for hair, skin and nails. Olive oil penetrates deep into the skin, moisturising and protecting it, as well as promoting skin elasticity, resulting in youthful looking skin. Alongside it’s anti-aging properties, the Vitamin E present in the oil also helps to repair damage caused by sun exposure. 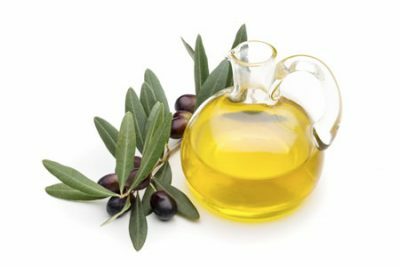 When used in the hair, olive oil helps to moisturise and nourish hair and scalp, preventing dandruff and resulting in a glossy shine. Find more of our products with Olive Oil. Wonderfully stimulating, Geranium is often used to soothe burns, small wounds, ulcers and other similar skin issues. Also effective at easing nose bleeds, heavy periods and minor haemorrhaging, as well as useful in treating jaundice and gall stones. A great detoxifier, geranium has a balancing effect on the nervous system which can help to lift spirits and ease stress. 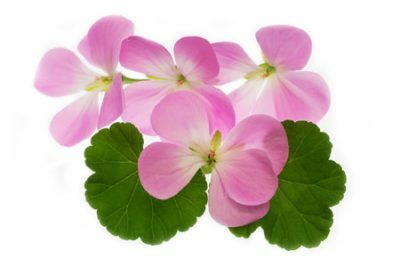 Find more of our products with Pure Essential Oil of Geranium. Red Clay has a number of outstanding benefits, making it superior to many other clays due to it’s high silica, magnesium, potassium and calcium content. 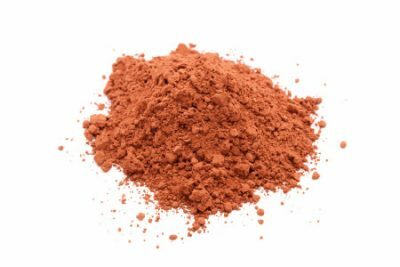 Generally used as a detoxifying cleanser, Red Clay is recommended for oily skin as it is extremely effective in removing dirt, oil and other debris from clogged pores. 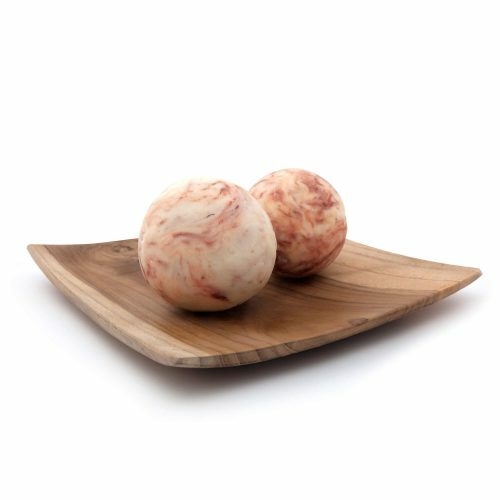 Find more of our products with Red Clay. 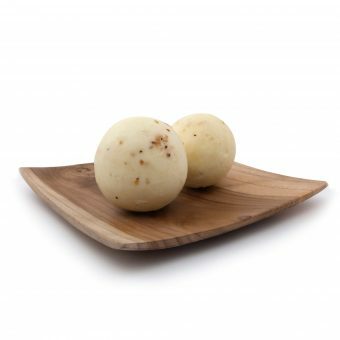 Lather the ball of soap with water and apply to the skin. Avoid sensative areas and contact with the eyes.